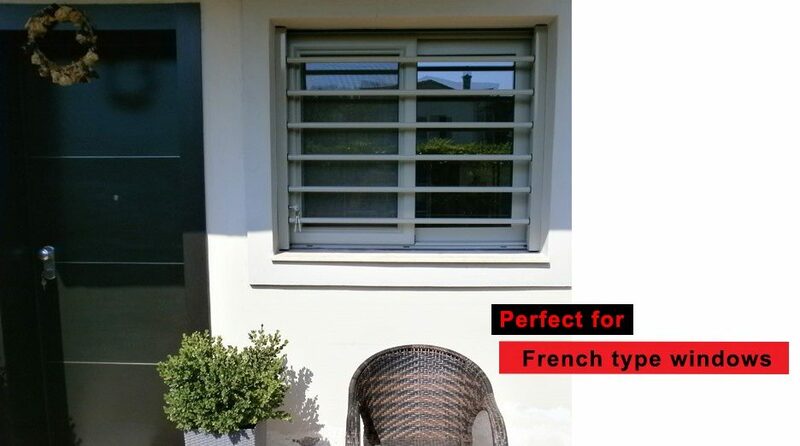 The side sections are rectangular aluminum profiles measuring 44 x 50 mm internally reinforced galvanized steel in dimensions (27mm X 40mm X 27mm) and bars are secured with special lock with key type safe. 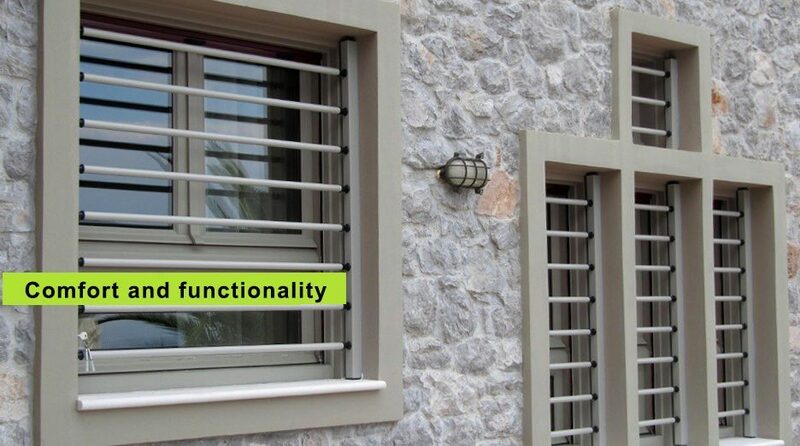 The horizontal bars include internal solid steel 18mm Φ externally surrounded by aluminum tube type with a diameter of 26 mm and a thickness of 2mm. 1. Place one end of the bar up the hole in the frame with a key, ending. 2. Place the other end of the bar up to the frame that has the lock Stopping. 3. 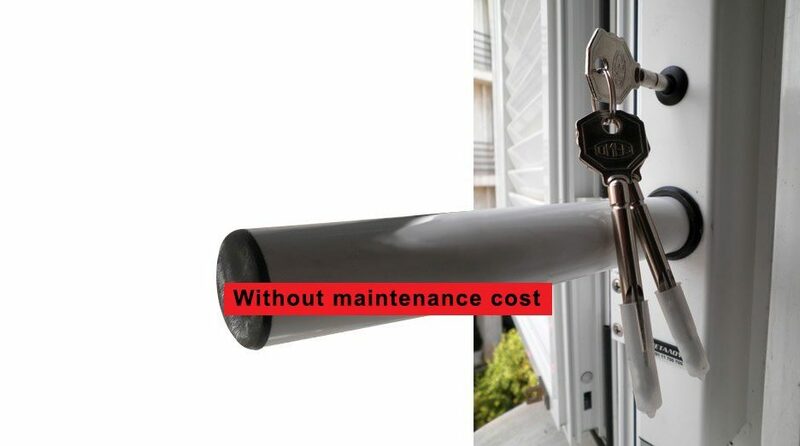 Place the key points on the handle downwardly in the bore of the lock and rotated 180o so locking the bars. To remove the bars follow the opposite course of actions. Folding VIOMETALOUMIN products need to be cleaned regularly and their moving parts must be lubricated with oil spray twice per year. 1. Brush with soft bristles which will clean the surface dust. 2. 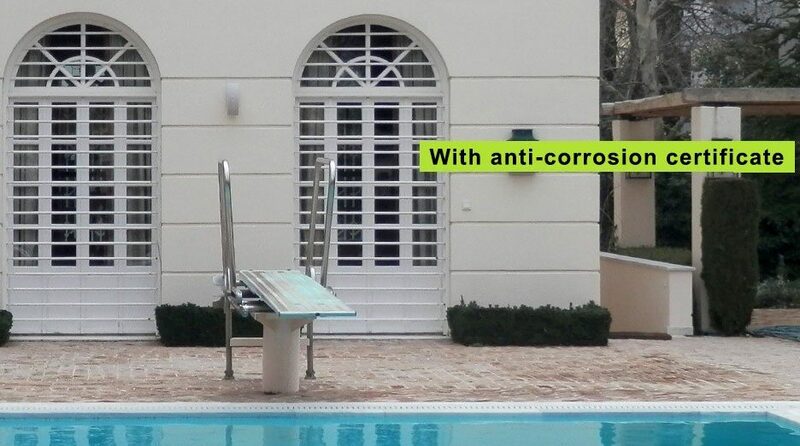 Solution of mild soap and water, cloth with which wash all surfaces thoroughly to remove dirt, air pollutants and particles that have been attached to metal surfaces. The process should be repeated 2-3 times a year. 3. Lubricate twice a year the wheels rolling, lock and all moving parts of the frame. 4. In coastal areas systems require frequent cleaning and lubrication 5-6 times a year. Because our Systems are Unique and Patented. 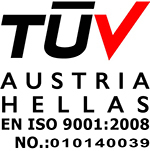 Because we offer 3 Years Guarantee. Because we offer the highest value at the lowest cost. Because Installations of our Systems are being done by Experienced Technicians. Because we offer constant After Sales Technical Support and Customer Service. Contact us and ask for an offer!